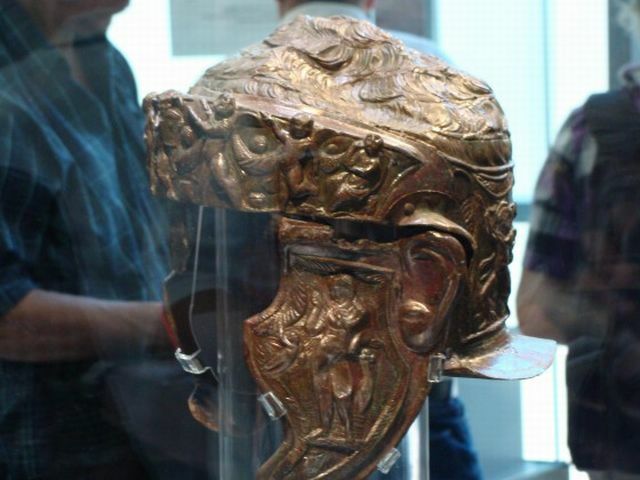 A very rare war helmet of a Thracian aristocrat from the 1st-2nd century AD found during emergency excavations of the Ancient Thracian tumulus (burial mound) known as Pamuk Mogila in Bulgaria’s Brestovitsa in 2013, has been shown to the public for the first time in a special exhibition of the Plovdiv Museum of Archaeology. 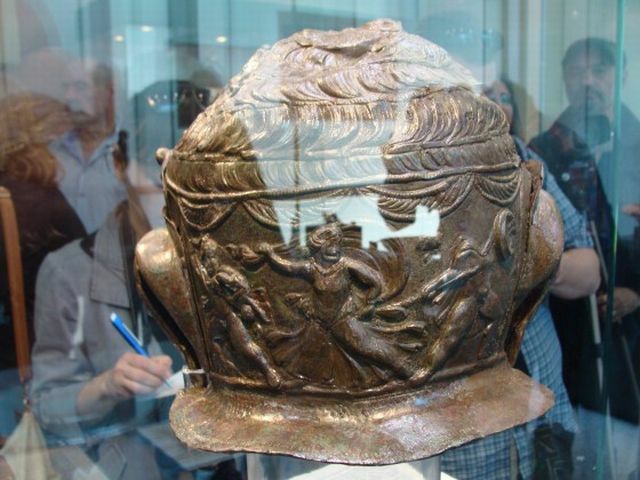 The unique war helmet featuring mythology motifs from the Trojan War is just one of the some 80 different artifacts on display in the exhibition entitled “Ancient Treasures from Brestovitsa" which has been opened by the Director of the Plovdiv Museum of Archaeology Kostadin Kisyov, Plovdiv Mayor Ivan Totev, Rodopi Municipality Mayor Plamen Spasov, and Brestovitsa Mayor Lyuben Radev, reports local news site Plovdiv24. The focal point of the exhibit is the Ancient Thracian aristocrat’s cavalry war helmet found in the Pamuk Mogila tumulus in 2013, whose worth as an archaeological artifact is estimated at EUR 2 million. The ancient war helmet is made of iron with bronze coating. It immitates a human head with hair, and is decorated with images of gods and heroes from the Ancient Thracian and Ancient Greek mythology including motifs from the Trojan War described in Homer’s Iliad. 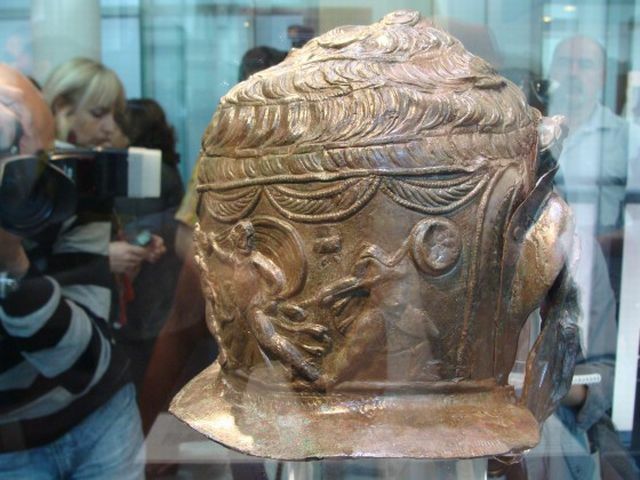 Thus, the front of the Ancient Thracian helmet (whose most likely precise dating is the beginning of the 2nd century AD) features six images of god Eros, while one of its cheek guards has an image of god Apollo, and the other one – of god Hermes. However, the most intriguing decoration is on the back of the war helmet: a scene from the Trojar War depicting the murder of Hector’s son Astyanax (Scamandrius) by Achilles’s son Neoptolemus. The helmet depiction is the only depiction of this scene found in Bulgaria to date. This specific scene from the Ancient Greek and Thracian mythology is known to world archaeologists from two Ancient Greek vessels kept in the British Museum in London, Kostadin Kisyov points out. 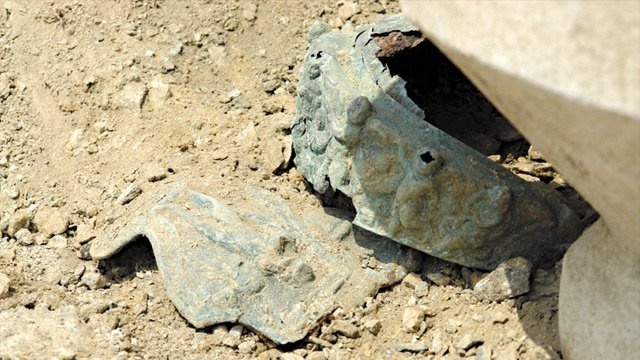 Its discovery on a Thracian aristocrat’s helmet from the 1st-2nd century AD is also unique for another reason. “This is the first time this exact scene from the Trojan War has been found on an artifact from the Roman Age," Kisyov explains. Ancient Thrace was fully conquered by the Roman Empire in 46 AD, and the members of the Thracian aristocracy largely preserved their status and privileges in their new capacity as provincial Roman aristocrats. 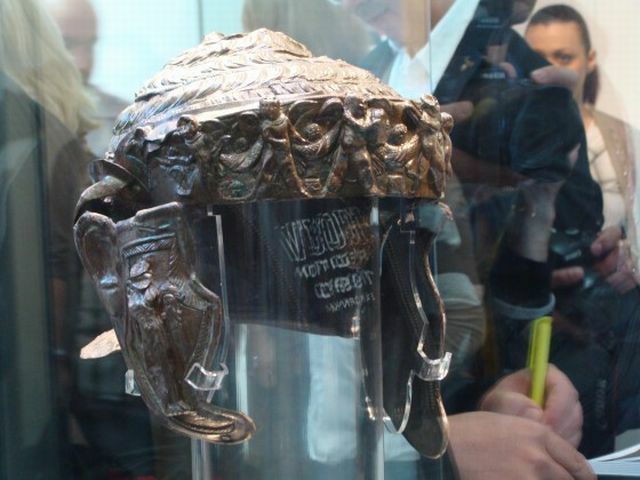 The truly unique Thracian war helmet is shown to the public only now because it has been restored for the past 2 years by Svetla Tsaneva, an expert from Bulgaria’s National Museum of History in Sofia, reports local news site Top Novini Plovdiv. 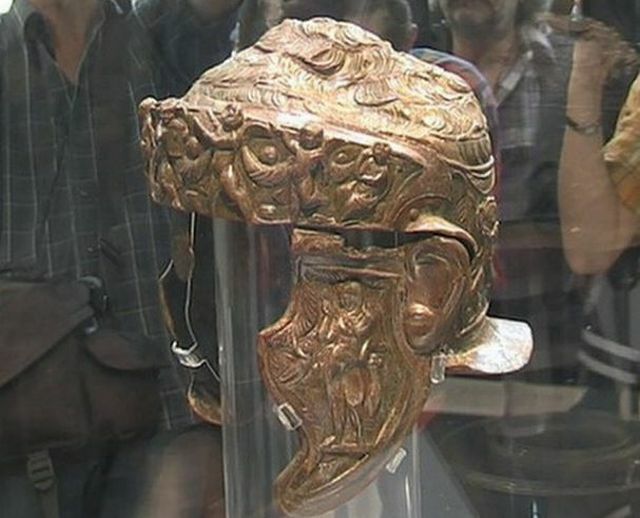 The restoration of the helmet, which had been severely deformed by a sword blow, at the Bulgarian National Museum of History cost BGN 12,000 (app. EUR 6,200). In comparison, in the UK capital London, the restoration of a similar ancient war helmet took 7 years and cost GBP 150,000. “This war helmet is extremely rare, and there are only 3 more like it in the entire world," the Director of the Plovdiv Museum of Archaeology is quoted as saying. Two of those three similar helmets have been found in Bulgaria but they are not as richly decorated as the latest one to be discovered. 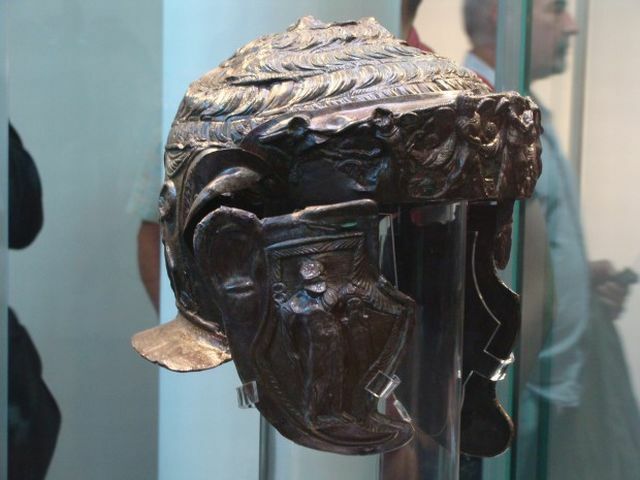 The Thracian war helmet from the Pamuk Mogila burial mound in Brestovitsa is also the only one of them to have been found in Plovdiv’s region. 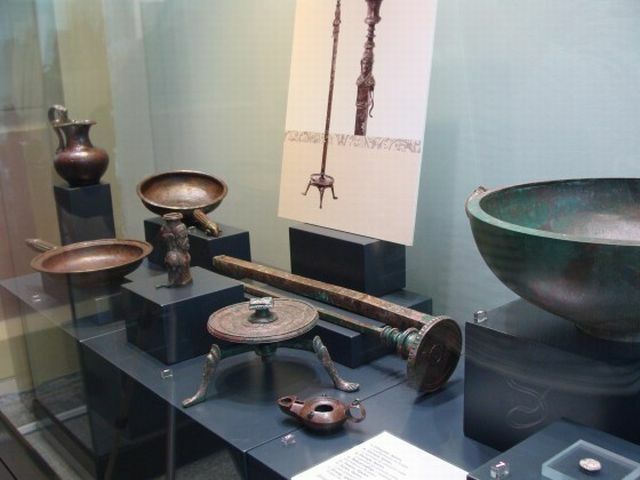 The exhibition “Ancient Treasures from Brestovitsa" of the Plovdiv Museum of Archaeology has been organized on the occasion of the International Museum Day, May 18, and can be visited free of charge. 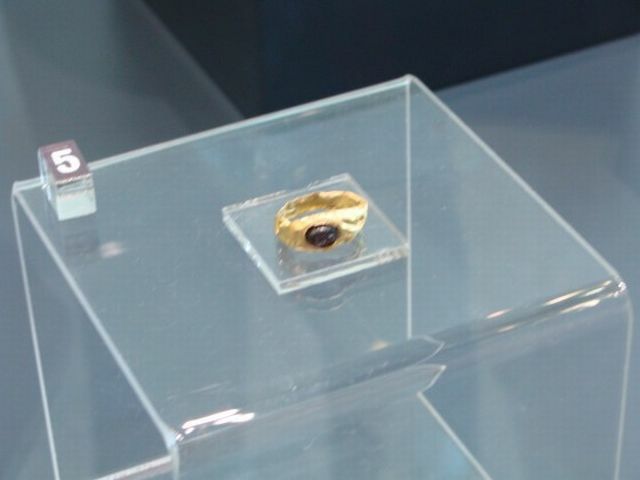 The some 80 artifacts found by Kostadin Kisyov during his excavations of the Ancient Thracian burial mound Pamuk Mogila in 2013 will be on display at the Plovdiv Museum of Archaeology until mid June 2015 when the exhibition will be replaced with a guest exhibit from the Louvre Museum, which is currently hosting the Bulgarian exhibition entitled “Thracian Kings’ Epic. Archaeological Discoveries in Bulgaria." 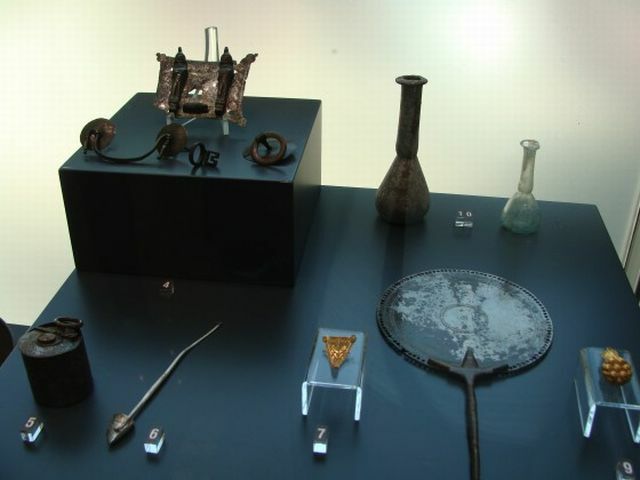 The artifacts from Pamuk Mogila displayed by the Plovdiv Museum are actually from six different graves found inside the Thracian tumulus. Fortunately, Kisyov’s team reached those graves before the local treasure hunters who had come very close to one of the graves. In fact, the grave nearly found by the looters is the most ancient one found to date inside the Pamuk Mogila burial mound. It contained an urn with a Thracian man’s ashes as well as the ritual sacrifice of a young woman burried with him. This grave is dated to the 4th century BC based on the discovery of coins of Thracian Odrysian King Teres II (r. 351-342 AD). The other five graves under the same mound are from later funerals, including three from the latest period, the 1st-2nd century AD, one of which is where the unique war helmet with Thracian War motifs was discovered. 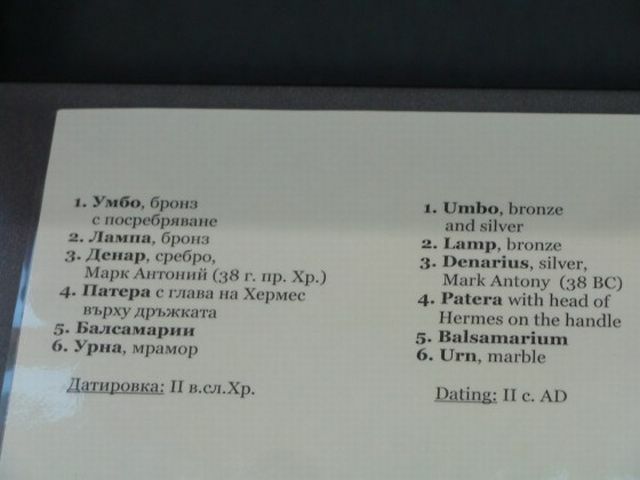 Other exciting finds from the six graves found underneath Pamuk Mogila include ancient lanterns, a balsamarium, a marble urn, a brooch, a mirror, rings, spear tips, swords, shields, and silver coins of Roman general Mark Anthony (in office 43-33 AD) and Roman Emperor Nero (r. 54-68 AD) as well as other items supposed to serve the deceased in their afterlife. The belief in the afterlife was especially important for the Ancient Thracians who are said to have celebrated death and mourned the birth of children. At the opening of the exhibition at the Plovdiv Museum, its Director Kostadin Kisyov has expressed his gratitude for the Mayors of Plovdiv and Rodopi whose municipalities provided BGN 50,000 (app. EUR 25,000) in funding for the rescue excavations of the Ancient Thracian burial mound Pamuk Mogila in the town of Brestovitsa. He has stressed that the excavations rescued the treasures of Pamuk Mogila from looting treasure hunters, and presented Mayors Totev and Slavov with replicas of the helmet. The Ancient Thracian mound of Pamuk Mogila located in the town of Brestovitsa was saved with emergency excavations, after Kisyov had spent five years trying to find funding for the digs. Before the excavations local treasure hunters had dug up a 13-meter tunnel trying to reach the grave under the mound. Kisyov has also stated that the war helmet in combination with another Ancient Thracian helmet, a silver mask helmet, which was recently recovered by Bulgaria’s Prosecutor’s Office and State National Security Agency (DANS) after it had been stolen for 20 years, make the Plovdiv Museum of Archaeology one of the richest museums in Europe, and it will soon need more space to accommodate its collections and visitors. The Ancient Thracian aristocrats of Philipopolis (today’s Plovdiv) were buried in their rural estates nearby so the local archaeologists are hoping to come across a monumental tomb in the lower layers of Pamuk Mogila, which has not been completely excavated yet. 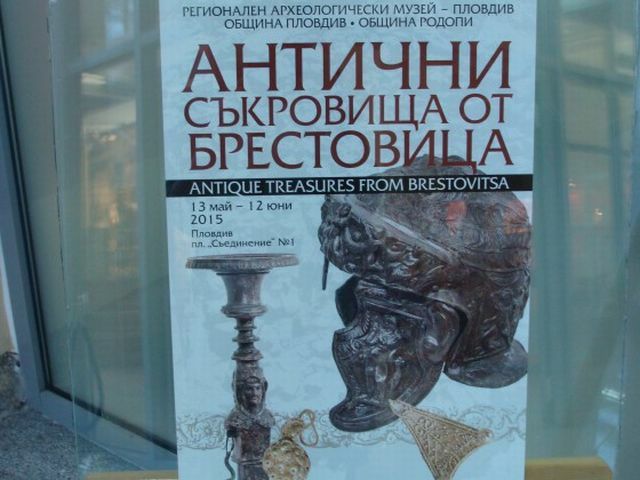 Museums from Italy and Greece have already expressed interest in hosting the exhibit entitled “Ancient Treasures from Brestovitsa". Recently, a total of BGN 40,000 (app. EUR 20,500) in funding were allocated by the City Council in the southern Bulgarian city of Plovdiv for emergency rescue excavations of another large Ancient Thracian tumulus (burial mound) in the Plovdiv region located near the town of Tatarevo. The emergency funding has been allotted after a police operation discovered that treasure hunters have started to dig up and destroy the Ancient Thracian archaeological monument near Tatarevo, Parvomay Municipality. The rescue excavations will be carried out by archaeologists from the Plovdiv Museum of Archaeology, and whatever artifacts might be found in the burial mound will be added to the Museum’s permanent collection. The funding is allocated at the recommendation an inter-departmental commission of Bulgaria’s Ministry of Culture and National Institute and Museum of Archaeology at the Bulgarian Academy of Sciences to conduct emergency excavations to save whatever can be saved in the Thracian mound from the local treasure hunters’ vandalism. The unexplored Thracian tumulus near Tatarevo is a large one, and the team of Kostandin Kosyov, Director of the Plovdiv Museum of Archaeology, is said to expect interesting finds from there. 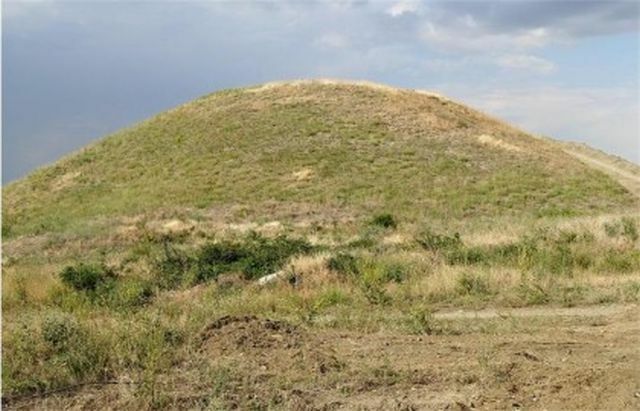 The Ancient Thracian tumulus (burial mound) known as Pamuk Mogila near the town of Brestovitsa, Plovdiv District, in Southern Bulgaria, was excavated in emergency rescue excavations in 2013 since it had been targeted by treasure hunters. It was excavated by a team led by Kostadin Kisyov, Director of the Plovdiv Museum of Archaeology, after local treasure hunters had dug up a 13-meter tunnel into the burial mound in search of the graves inside, and Kisyov himself had been trying to find funding for five years. The emergency digs were funded by Plovdiv Municipality and Rodopi Municipality a total of BGN 50,000 (app. EUR 25,500). Luckily, the treasure hunters had not managed to find the graves inside the mound, and Kisyov and his team discovered them. The huge tumulus, which was 14 m tall and had a diameter of 70 m, harbored a total of six graves, including the grave of a Thracian aristocrat from the 1st-2nd century AD. The archaeologists discovered about 80 artifacts, including a golden ring, a silver ring, a bronze ring, a parade combat helmet, two iron swords, three spears, a bronze coin (an obol for Charon, the ferryman of Hades who, according to Ancient Thracian, Greek, and Roman mythology, carries the souls of the newly deceased across the rivers Styx and Acheron in the underworld), 4 glass balsamaria with essential oils, 4 clay vessels, 2 bronze hydria for water and wine, bronze phiales (pateras), two candelabra, among others. Kisyov believes that because of the proximity of the Pamuk Mogila mound to ancient Philipopolis (today’s Plovdiv) it might have been a tomb for an aristocratic family that ruled the city. The Ancient Thracians believed in afterlife and they placed a lot of personal belongings in the graves and tombs of their dead.